At Feed My Starving Children to pack meals. Tyler wanted to come here for his birthday. 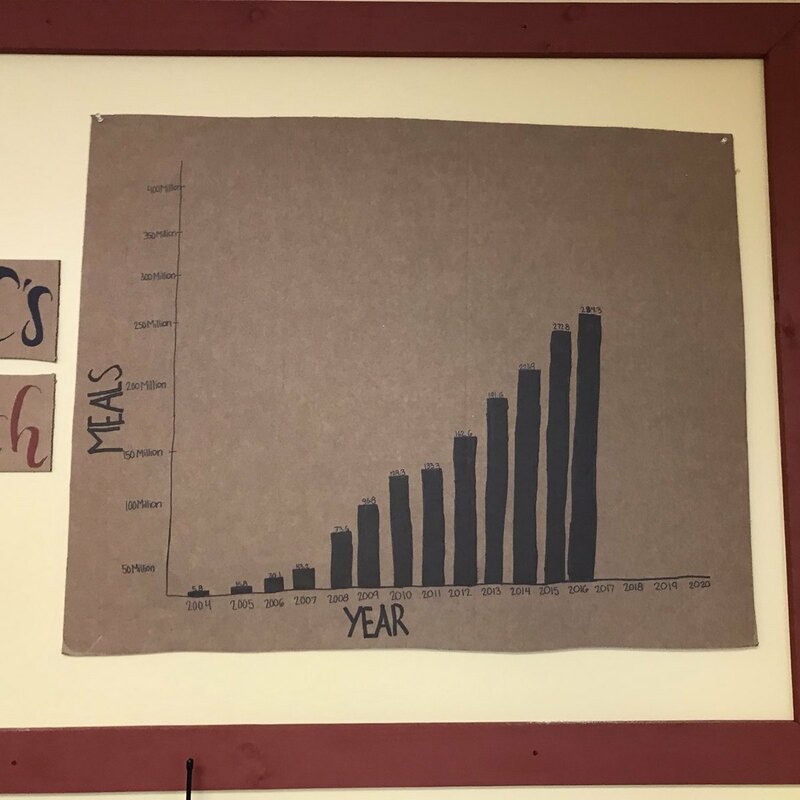 Love this handmade graph of progress.